fastjet Tanzania has announced that flights on its newest and sixth international route will commence on 27th July 2015 between Dar es Salaam, Tanzania and Lilongwe, Malawi. 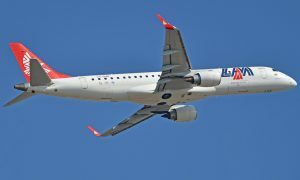 Services between Dar es Salaam’s Julius Nyerere International Airport and Malawi’s Lilongwe International Airport will initially operate twice a week on Mondays and Fridays, using fastjet’s modern Airbus A319 jet aircraft with seating for up to 156 passengers. More capacity is expected to be added by fastjet to this route as demand increases for its safe, quick, affordable and on-time service. Flights will depart Dar es Salaam at 10h25 and land in Lilongwe at 11h05, with a flight time of 1 hours 40 minutes. The return flight to Dar es Salaam departs at 11h40, landing at 14h20 (all local times). fastjet fares will be significantly lower than fares charged by the other full-service airlines currently operating direct flights between the two cities. With its low-cost fares, fastjet expects many of its passengers on this new route to be first time flyers who would otherwise not have been able to afford to travel by air. 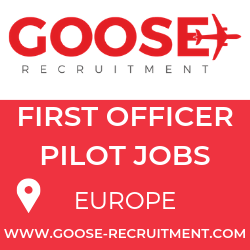 Supporting this expectation is the research undertaken by the airline in December 2014, which showed that 35% of its passengers were first time flyers. “fastjet has been able to expand its international network by working closely with the governments and civil aviation authorities of Tanzania and Malawi, who understand and value the positive impact that low-cost air travel can have on the lives of their citizens and the general economy,” says Jimmy Kibati, fastjet Tanzania’s General Manager for East Africa. “More affordable fares makes it easier for more entrepreneurs, tourists and other visitors to travel between Tanzania and Malawi which in turn will strengthen the countries’ relationship, boost their tourism and business sectors, and contribute significantly to both countries’ economic growth,” Kibati adds. 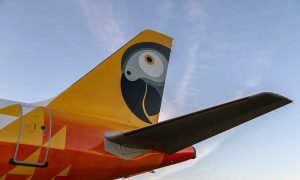 “The addition of this new international route between Dar es Salaam and Lilongwe to the fastjet network emphasises our vision of becoming a true low-cost pan-African airline, and is evidence of our growing success,” says Kibati. fastjet Tanzania already operates domestically from Dar es Salaam to Mwanza, Mbeya and Kilimanjaro, as well as between Kilimanjaro and Mwanza , and internationally between Dar es Salaam and Johannesburg in South Africa, Lusaka in Zambia, Entebbe in Uganda, and Harare in Zimbabwe. fastjet also operates the Kilimanjaro to Entebbe route.